“The Knjiga” je došla meni u ruke, prilažem par slika za zainteresirane. Možda jednom prilikom više, ali ipak ne želim doći u problem sa zakonom. Kad je zadnja knjiga Harry Pottera izašla, jedna korejanka, ako se ne varam, je pročitala knjigu u rekordnih 40 minuta. Naravno pošto ja nažalost ne čitam knjige tom brzinom ne mogu još suditi o pročitanome. No svakako ću pisati kako idem kroz poglavlja, i što mi upadne u oko kao relevantno ili primjenjivo na nas. Nešto što sam pročitao već pokazuje da je vrlo čitljivo kroz jedan razgovorni stil pisanja. Greenspan je priznao da je gotovo 80% knjige napisao ležeći u kadi. Navika pisanja u kadi je od kad je rehabilitirao leđa (valjda nakon neke povrede). Provjerio sam u indexu da li ima nekog spomena Juge, Hrvatske, Bosne ili Srbije i nema (naravno). No on dosta piše o padu komunizma i ideologije centralnog planiranja pa se možda nađe neka referenca na “nas tamo” što nije indeksirano. Nadimak “The Undertaker” je dobio od svoje mentorice Ayn Rand. Alan je proicirao sumornost za budućnost. A da li je to tako prosudite sami iz ulomka njegove knjige, konkretnije zadnjeg poglavlja The Delphic Future. U Utorak, Greenspan je bio gost poznatom John Stewartu, u Daily Show. Pokušao sam pronaći video toga ali još ga nema na webu. Na kraju razgovora Stewart je rekao Greenspanu, koji je objasnio na svoj tmuran način kako se mi ljudi ne mjenjamo na bolje, “You bumed the s*** out of me now.” No jedan bloger si je dao truda i napisao kratki ulomak iz intervju koji su dvojca imali oko kontradikcije postojanja centralne banke koja kontrolira kamatne stope u slobodnom tržištu. Nadam se da će cijeli razgovor dvojce biti uskoro na webu. 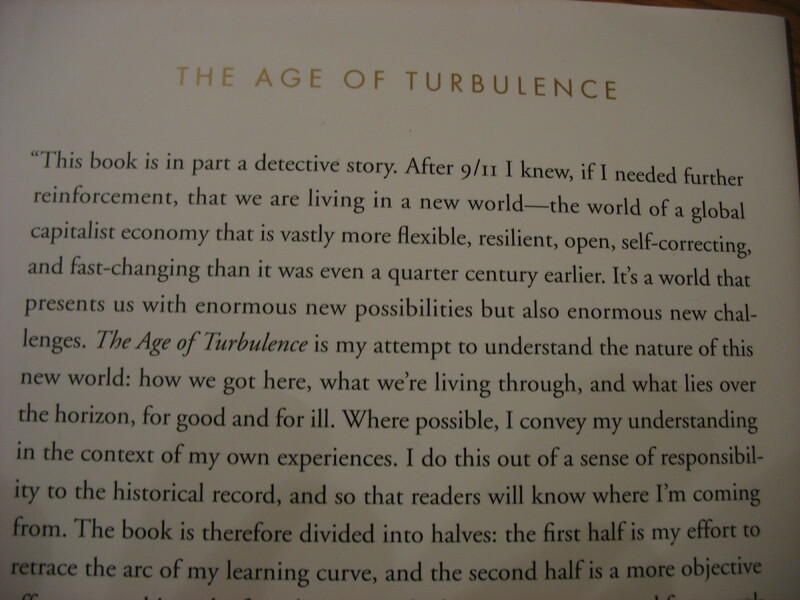 Greenspan charts our economic course in ‘The Age of Turbulence.’ An excerpt. What, then, can we reasonably project for the U.S. economy for, say, the year 2030? Little, unless we first specify certain assumptions. I need affirmative answers to the following questions to get started. Will the rule of law still be firm in 2030? Will we still adhere to the principle of globalized free markets, with protectionism held in check? (By protectionism, I mean not just barriers to international trade and finance but governmental restrictions against competition in domestic markets as well.) Will we have fixed our dysfunctional elementary and secondary school systems? Will the consequences of global warming emerge slowly enough so as not to significantly affect U.S. economic activity by 2030? And finally, will we have kept terrorist attacks in the United States at bay? Unsaid are those possibilities, such as a wider war or a pandemic, that could upset any forecast. But the long list of caveats does not inordinately tie our forecasting hands. After all, such a list has always existed in one form or another, and yet the record of long-term forecasting of the U.S. economy overall in my experience has been reasonably impressive. What is the most likely level of overall activity we can expect in our arbitrarily chosen 2030 forecast year? Given our assumptions and the economy’s historical record, it is difficult to imagine the employment rate of the civilian labor force being outside the rather narrow range of 90 to 96 percent (that is, an unemployment rate between 4 and 10 percent). America’s fifty-year average is more than 94 percent, with nonrecession years (the assumption for 2030) near 95 percent. Combining labor force participation rates, population projections, a near 5 percent unemployment rate, and a stable workweek yields an annual growth rate in hours worked in the United States through 2030 of 0.5 percent. If we smooth through the raw data on output per hour, a remarkably stable pattern of growth emerges, going back to 1870. Annual growth of nonfarm business output per hour has averaged close to 2.2 percent. Even without adjusting for the business cycle, wars, and other crises, the range of overlapping consecutive fifteen-year averages of the annual increase in output per hour stays consistently between 1 and 3 percent. Our historical experience strongly suggests that as long as the United States remains at technology’s cutting edge, annual productivity growth over the long run should range between 0 and 3 percent. But why not higher—say, 4 percent per year or more? After all, in much of the developing world, annual output per hour has been averaging growth of far more than 2 percent. But those nations have been able to “borrow” the proved technologies of the developed world and have not themselves had to undertake the slow step-by-step effort to advance cutting-edge technologies. U.S. productivity in 2005 was 2.8 times higher than in 1955. That is because we knew so much more in 2005 than a half century earlier about how our physical world operates. Every year, millions of innovations incrementally improved overall productivity. This process has become particularly evident since the discovery of the exceptional electrical properties of silicon semiconductors following World War II. Yet why hasn’t productivity growth been even faster? Couldn’t what we knew in 2005 have been figured out by, say, 1980, thereby doubling the rate of productivity gains (and increases in standard of living) between 1955 and 1980? The simple answer is that human beings are not smart enough. Our history suggests that the ceiling on the productivity growth of an economy over the long term at the cutting edge of technology is at the most 3 percent per year. It takes time to apply new ideas and often decades before those ideas show up in productivity levels. Which brings us to our bottom line. Coupled with the projected 0.5 percent annual increase in hours worked between 2005 and 2030 that follows from the demographic assumptions cited earlier, a slightly less than 2 percent annual average growth in GDP per hour implies a real GDP growth rate of slightly less than 2.5 percent per year, on average, between now and 2030. That compares with 3.1 percent per year, on average, over the past quarter century, when labor force growth was considerably faster. Arriving at a credible forecast for the level of real GDP for 2030 is a start, but it doesn’t tell us much about the nature of the dynamic that will be driving U.S. economic activity a quarter century in the future, or about the quality of our lives. For superimposed on these powerful trends will be the consequences of an inevitable completion of major aspects of globalization. At some point, globalization’s vast economic migration—the epoch-making shift of fully half of the world’s three-billion-person labor force from behind the walls of economies that were centrally planned, in part or in whole, to competitive world markets—will be complete, or as complete as it can possibly get. The continuing acceleration of the flow of workers to competitive markets during the past decade has been a potent disinflationary force. That acceleration has depressed wage growth and held down inflation virtually uniformly across the globe. Leaving aside Venezuela, Argentina, Iran, and Zimbabwe, inflation during 2006 in all developed and major developing nations was clustered between 0 and 7 percent. Similarly narrow ranges describe long-term interest rates. Such globally subdued price and interest rate pressures are exceptionally rare in my experience. The rate of flow of workers to competitive labor markets will eventually slow, and as a result, disinflationary pressures should start to lift. China’s wage-rate growth should mount, as should its rate of inflation. The first signs are likely to be a rise of export prices, best measured by the prices of Chinese goods imported into the United States. Falling import prices from China have had a powerful ripple effect. They have suppressed the prices of competing U.S.-made goods and contained the wages of the workers who produce them—as well as the wages of any who compete against the workers who produce the goods that vie with the Chinese imports. Accordingly, an easing of disinflationary pressures should foster a pickup of price inflation and wage growth in the United States. It should be noted that import prices from China rose markedly in spring 2007 for the first time in years. How the federal reserve responds to a reemergence of inflation and expected falling world saving propensities will have a profound effect not only on how the U.S. economy of 2030 turns out but also, by extension, on our trading partners worldwide. The Federal Reserve’s pre-1979 track record in heading off inflationary pressures was not a distinguished one. In part, that earlier history was a consequence of poor forecasting and analysis, but it also reflected pressures from populist politicians inherently biased toward lower interest rates. 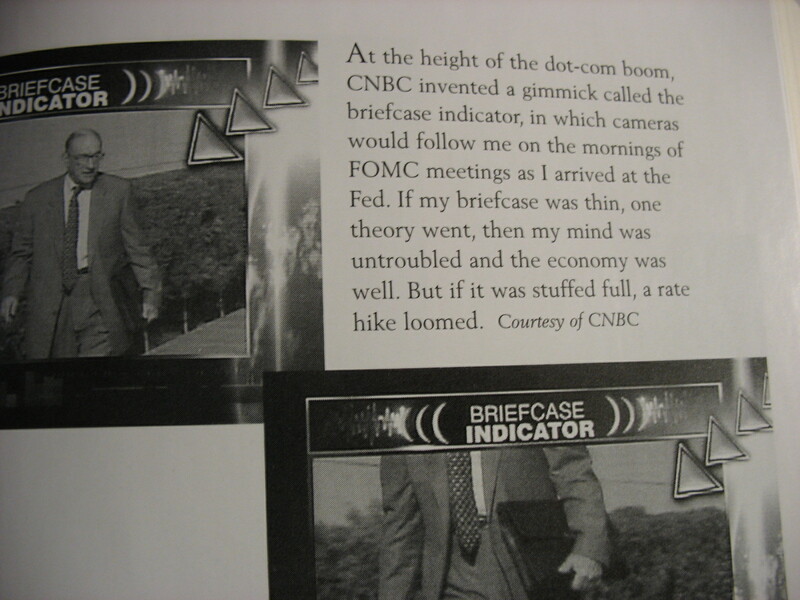 During my eighteen-and-a-half-year tenure, I cannot remember many calls from presidents or Capitol Hill for the Fed to raise interest rates. In fact, I believe there was none. As recently as August 1991, Senator Paul Sarbanes, in response to what he considered intolerably high interest rates, sought to remove voting authority on the FOMC [the board that controls the federal funds rate, the primary lever of monetary policy] from what he perceived were the “inherently hawkish” presidents of the Federal Reserve banks. 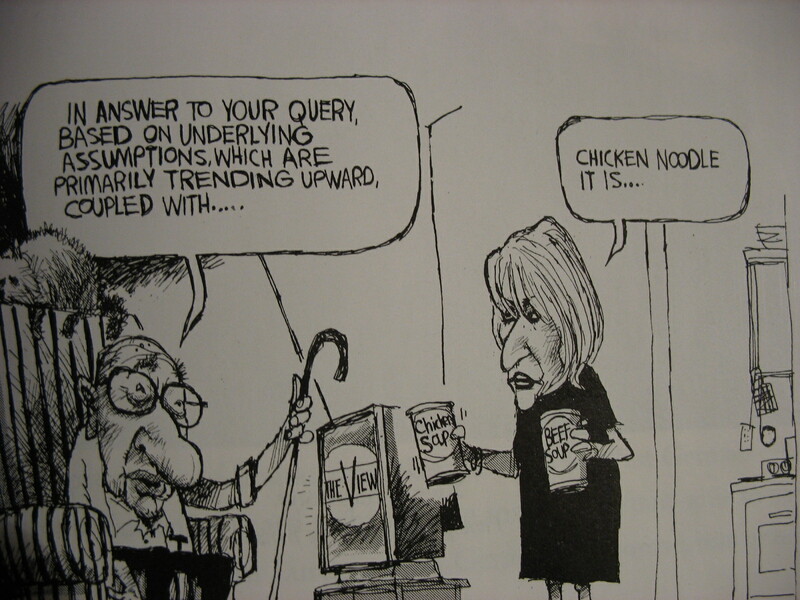 Interest rates declined with the 1991 recession, and the proposal was shelved. I regret to say that Federal Reserve independence is not set in stone. FOMC discretion is granted by statute and can be withdrawn by statute. I fear that my successors on the FOMC, as they strive to maintain price stability in the coming quarter century, will run into populist resistance from Congress, if not from the White House. As Fed chairman, I was largely spared such pressures because long-term interest rates, especially mortgage interest rates, declined persistently throughout my tenure. It is possible that Congress has observed the remarkable prosperity that emerged in the United States and elsewhere as a consequence of low inflation and has learned from this happy circumstance. But I fear that containing inflation through higher interest rates will be as unpopular in the future as it was when Paul Volcker did it more than twenty-five years ago. “You’re high on the hit parade for lynching,” Senator Mark Andrews told Volcker bluntly in October 1981. This brings us back to globalization. If my suppositions about the nature of the current grip of disinflationary pressure are anywhere near accurate, then wages and prices are being suppressed by a massive shift of low-cost labor, which, by its nature, must come to an end. A lessening in the degree of disinflation suggested by the upturn in prices of U.S. imports from China in spring 2007 and the firming of real long-term interest rates raise the possibility that the turn may be upon us sooner rather than later. So at some point in the next few years, unless contained, inflation will return to a higher long-term rate. From 1939 to 1989, the year of the fall of the Berlin Wall and before the onset of the post-cold war wage-price disinflation, the CPI rose ninefold, or 4.5 percent per year. The 4.5 percent inflation rate, on average, for the half century following the abandonment of the gold standard is not necessarily the norm for the future. Nonetheless, it is probably not a bad first approximation of what we will face. An inflation rate of 4 to 5 percent is not to be taken lightly—no one will be happy to see his or her saved dollars lose half their purchasing power in fifteen years or so. And while it is true that such a rate has not proved economically destabilizing in the past, an inflation projection in that range assumes a generally benign impact of retirement of the baby boomers, at least through the year 2030. Today’s relative fiscal quiescence masks a pending tsunami. It will hit as a significant proportion of the nation’s highly productive population retires to become recipients of our federal pay-as-you-go health and retirement system, rather than contributors to it. Over time, unless this is addressed, it could add massively to the demand for economic resources and heighten inflationary pressures. Thus, without a change of policy, a higher rate of inflation can be anticipated in the United States. I know that the Federal Reserve, left alone, has the capacity and perseverance to effectively contain the inflation pressures I foresee. 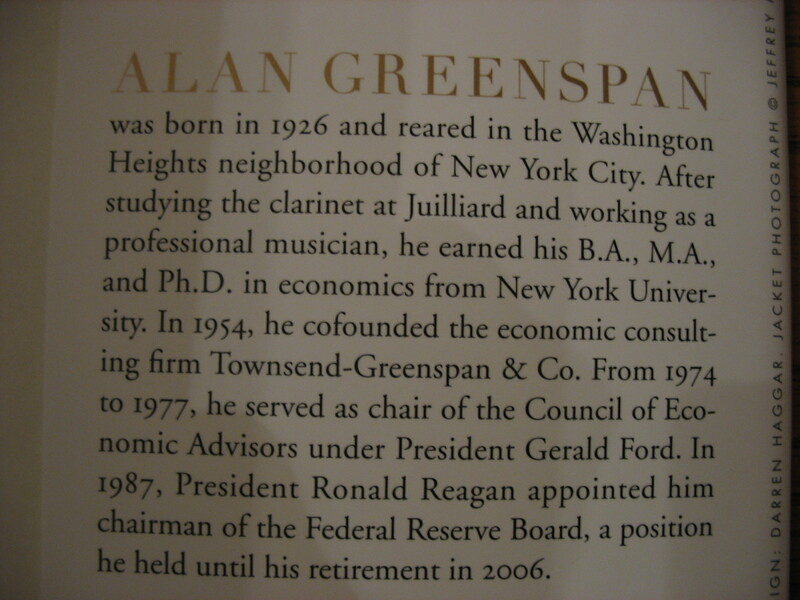 Yet to keep the inflation rate down to a gold standard level of under 1 percent, or even a less draconian 1 to 2 percent range, the Fed, given my scenario, would have to constrain monetary expansion so drastically that it could temporarily drive up interest rates into the double-digit range not seen since the days of Paul Volcker. Whether the Fed will be allowed to apply the hard-earned monetary policy lessons of the past four decades is a critical unknown. But the dysfunctional state of American politics does not give me great confidence in the short run. We could instead see a return of populist, anti-Fed rhetoric, which has lain dormant since 1991. My fear is that as Washington strives to make good on the implicit promises made in the social contract that characterizes contemporary America, CPI inflation rates by 2030 will be some 4 percent or higher. The “higher” is meant to reflect whatever inflation premium might arise as a consequence of the inadequate funding for health and retirement benefits for baby boomers. In the end, I see a positive fiscal outcome. But I suspect it is likely that to restore policy sanity we will first have to trudge through economic and political minefields before we act decisively. I am reminded of Churchill’s perception of Americans, who “can always be counted on to do the right thing—after they have exhausted all other possibilities.” The trip through the minefields is a major source of risk for my forecast, and it could be manifested in higher paths for interest rates and inflation. As awesomely productive as market capitalism has proved to be, its Achilles’ heel is a growing perception that its rewards, increasingly skewed to the skilled, are not distributed justly. Market capitalism on a global scale continues to require ever-greater skills as one new technology builds on another. Given that raw human intelligence is probably no greater today than in ancient Greece, our advancement will depend on additions to the vast heritage of human knowledge accumulated over the generations. A dysfunctional U.S. elementary and secondary education system has failed to prepare our students sufficiently rapidly to prevent a shortage of skilled workers and a surfeit of lesser-skilled ones, expanding the pay gap between the two groups. Unless America’s education system can raise skill levels as quickly as technology requires, skilled workers will continue to earn greater wage increases, leading to ever more disturbing extremes of income concentration. Education reform will take years, and we need to address increasing income inequality now. Increasing taxes on the rich, a seemingly simple remedy, is likely to prove counterproductive to economic growth. But by opening our borders to large numbers of highly skilled immigrant workers, we would both enhance the skill level of the overall workforce and provide a new source of competition for higher-earning employees, thus driving down their wages. The popular acceptance of capitalist practice in the United States will likely rest on these seemingly quite doable reforms. It is not an accident that human beings persevere and advance in the face of adversity. Adaptation is in our nature, a fact that leads me to be deeply optimistic about our future. Seers from the oracle of Delphi to today’s Wall Street futurists have sought to ride this long-term positive trend that human nature directs. The Enlightenment’s legacy of individual rights and economic freedom has unleashed billions of people to pursue the imperatives of their nature—to work toward better lives for themselves and their families. Progress is not automatic, however; it will demand future adaptations as yet unimaginable. But the frontier of hope that we all innately pursue will never close. From “The Age of Turbulence” by Alan Greenspan. 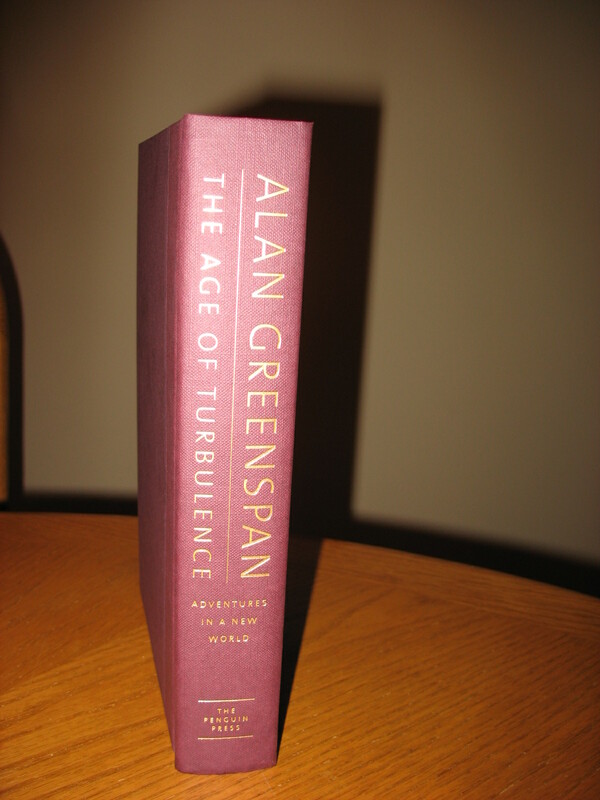 To be published by The Penguin Press, a division of Penguin Group (USA) Inc. © 2007 by Alan Greenspan. Pametan čovik, nema što !